This was a great trip. The cycling was physically tough due to combination of heat, altitude, climbs, head winds and some terrible roads but the incredible scenery was a great reward. We were lucky with our large group who all got on well and we had fantastic support from the redspokes leaders and the local team. 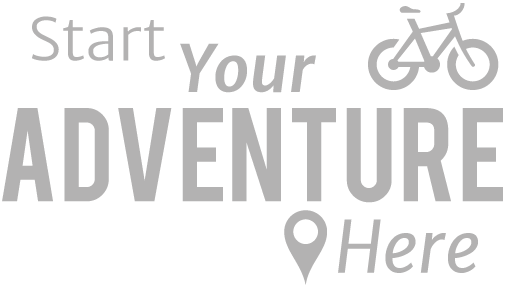 Stuart was particularly efficient: I found it very helpful to have accurate information about distances, climbs and rest stops and it was very reassuring to know he has superb bike mechanic skills. The local guide, Daniyar, and his team (Kokon, Kuban, Aiym, Adil, Muna and Rachman) really made it special. All of them were fun, kind, welcoming and obliging, and seemed to be enjoying themselves too. Some of Aiym's cooking was delicious with some great soups and pulses; healthy too. I have returned home feeling that I had a holiday as well as having explored a fascinating and remote corner of the world. In addition I think we all had fun. Thank you redspokes! 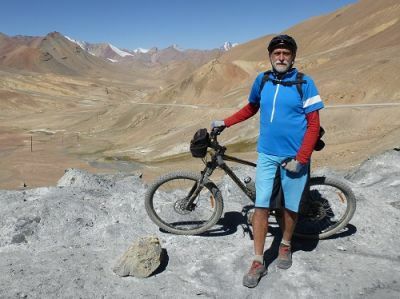 The Tajikistan trip was different to other redspokes trips I’d done - a country not commonly visited by tourists and with little tourism infrastructure. 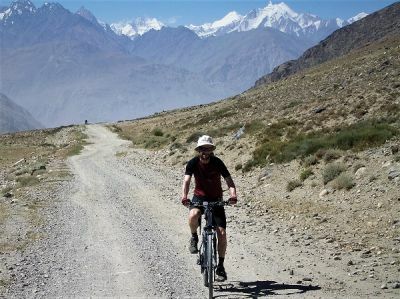 The cycling while hard is rewarding, the scenery stunning and the Tajik people were the friendliest and most welcoming of any country I have visited. This was an extraordinarily tough trip but well organised and utterly rewarding. 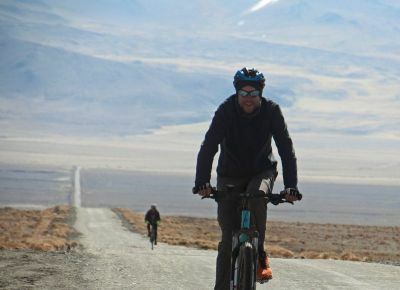 Furthermore, as a committed solo cyclist I would recommend anyone to consider doing this route with Red Spokes in preference to pushing a heavily laden tour bike through kilometer after kilometer of deep sand and rock.